Our courses are certified PADI courses and the price includes certification fees, manuals, full rental equipment, and refreshments. Choose the course you are interested in below. Included: Professional snorkelling equipment, PADI instructor guide, complimentary hotel transfers and snacks and refreshments. The snorkelling safari is an adventure for the whole family, open to children and adults alike. The course starts with an introduction to the abundance of marine life available in Gran Canaria using our fish identification book to build knowledge for the trip. 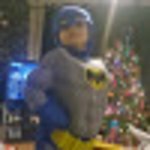 We currently have a marine biologist working with us, who shall give you a detailed explanation of the marine you life you can expect to see underwater. Our PADI qualified instructor shall demonstrate the correct way to snorkel and the appropriate safety requirements so you can view the underwater world with ease. Snorkelling is a great way to build your confidence in the water and to have a fun packed day! Included: Full rental equipment, PADI instructor guide, complimentary hotel transfers and snacks and refreshments. The Bubble Maker is a child orientated introduction to the world of scuba diving! The programme ensures parents can have a much-needed break and children can enjoy feeling weightless and blowing bubbles! The Bubble Maker is a one on one experience with a PADI qualified instructor in shallow confined water ensuring your child will be in extremely capable hands. 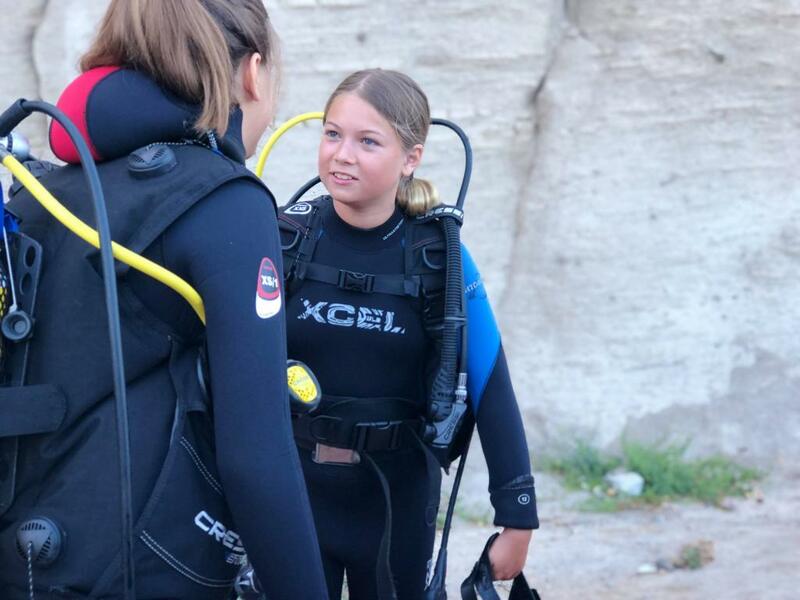 The adventure shall begin with a brief explanation of the scuba diving apparatus to ensure both you and your child feel comfortable and knowledgeable. Safety aspects of the course shall be discussed with the parents and with the child to ensure everyone is happy! Leagues Ahead Diving offer a variety of fun underwater activities and games for your child, and photos and videos are also available. After the Bubble Maker is completed we present your child with a certificate to remember their first-time Scuba Diving. You can sit and watch your child take their first breaths underwater or even join in yourself! We hope to see your child under the water soon, for an unforgettable holiday experience, and remember, keep blowing bubbles! Requirements: A medical statement must be completed upon arrival, not available to pregnant women. No alcohol must be consumed prior to diving. Included: Full rental equipment, PADI instructor guide, complimentary hotel transfers, one on one training and snacks and refreshments. Discover Scuba Diving is for adventurers! This course ensures your first dive in the ocean will be a happy and memorable one. 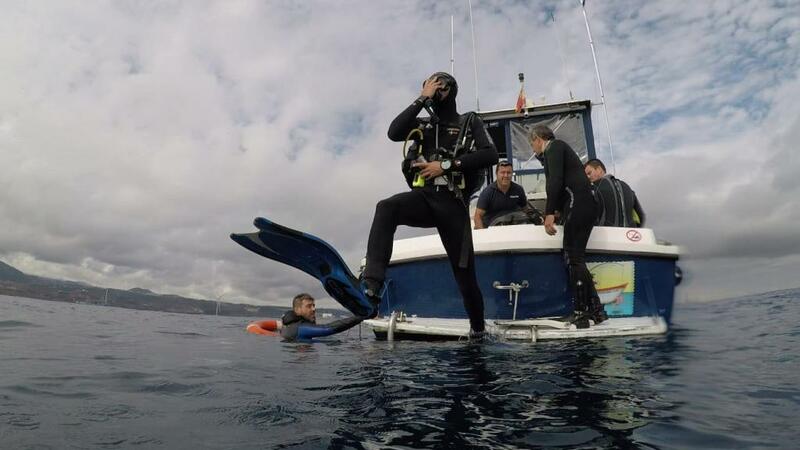 You shall be greeted at our dive center with warm smiles and a cup of coffee as our PADI qualified instructors shall give a detailed explanation of Scuba Diving, the apparatus you shall be using, the marine life in Gran Canaria and the logistics of the day. 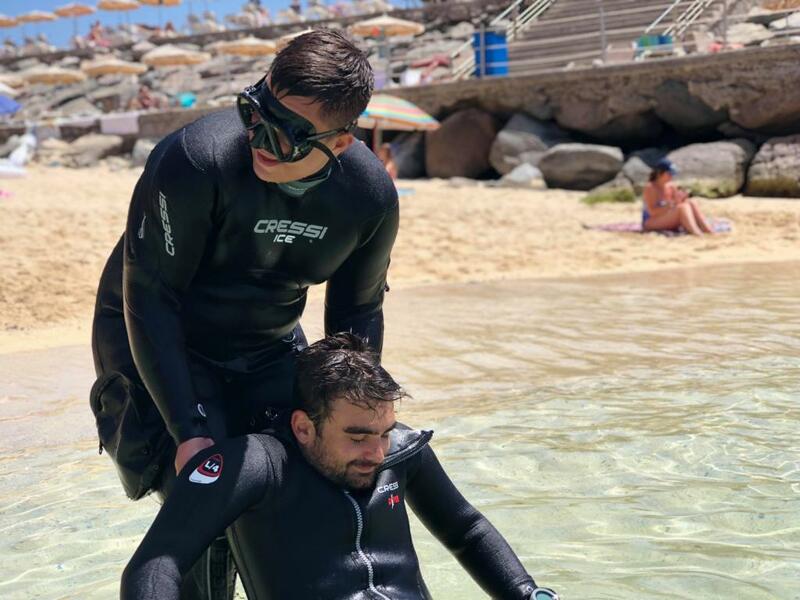 For beginners we use the fantastic dive site Amadores, the gentle shore entry and the sheltered bay makes it the most comfortable place for you to take your first fin-kicks underwater! At the dive site, full training shall be provided which takes approximately 30 minutes and includes basic scuba diving skills which ensure you are comfortable and prepared enough to take your first breaths underwater! However, we are more than willing to spend extra time to ensure you are relaxed and comfortable before proceeding on to the dive. The dive shall last approximately 40 minutes which is more than enough time to be enthralled with the abundance of marine life that Gran Canaria has to offer, such as Angel Sharks which are a native breed of shark common to Gran Canaria. After the dive has finished we shall transport you back to our dive centre, where you shall be provided with refreshments in our chill-out room and a chance to discuss the dive and relax. After completing the Discover Scuba Diving course, Leagues Ahead Diving shall present you with a certificate and underwater photos and videos can be purchased. Hotel transfers are complimentary. We hope to see you under the water soon! The Scuba Diving refresher with Leagues Ahead Diving is the easiest way to refresh and perfect your scuba diving skills. You may find this course useful if you are a newly certified diver who wishes to build up confidence in the water or you simply haven't dived in a while. This course will ensure you feel comfortable and relaxed once again in the water under the direct supervision of a PADI qualified instructor who will guide you through every step of the way. The programme consists of the basic skills needed to scuba dive practised in confined water and equipment assembly/disassembly and maintenance. After your memory has been refreshed and you feel comfortable once more we shall have a quick break and complimentary refreshment before commencing with a dive. The dive shall last approximately 50 minutes. After the dive has finished you get the chance to return to our chill-out room to discuss the day's events with other like-minded divers and enjoy a 'deco-refreshment'. 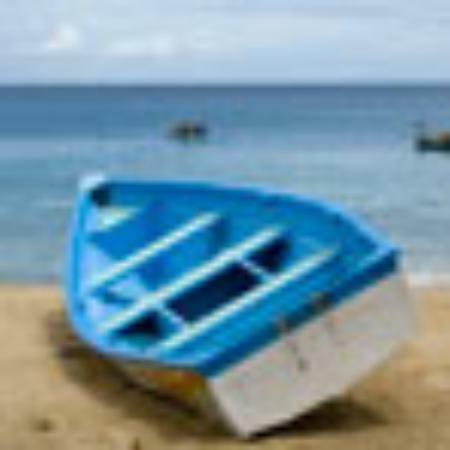 Hotel transfers are available, from all popular tourist destinations including Puerto Rico, Playa Del Ingles, Puerto De Mogan, Bahia Feliz and Arguineguin! Included: Full rental equipment, PADI instructor guide, complimentary hotel transfers, one on one training and snacks and refreshments, PADI open water manual and certification card. The Scuba Diver course is a two-day course which enables you to become a certified diver and dive to 12 metres, with a qualified PADI professional. You shall be guided through three training dives with a PADI qualified instructor which will ensure you are comfortable in the water and you will be taught the basic scuba diving skills. After you have mastered the skills you shall complete two forty minute dives in the ocean, in a safe and calm environment with an abundance of marine life to enthral you. Theory shall be completed in our spacious classroom where refreshments and an instructor are available to you. Our instructor shall talk you through the syllabus and answer any questions you may have. 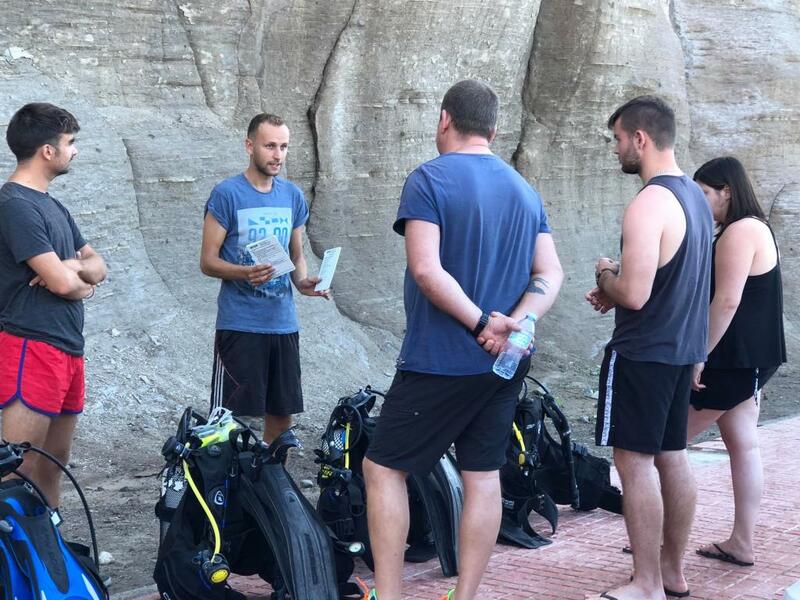 After the course is completed you shall receive a diving license and will be able to dive freely around the world or alternatively you can choose to further your diving education and complete the open water course. Pickups from your accommodation are complimentary and can be adjusted around your schedule to suit your holiday needs! The Open Water Scuba diving course is the world's most renowned course. This three-day course will enable you to dive to 18 metres independently and will further your knowledge on scuba diving. The course shall begin with five confined water training sessions which will allow you to learn all the necessary diving skills to be able to dive competently. After the skills have been mastered it's time for the ocean! You shall be guided through four dives in the ocean each lasting approximately forty to fifty minutes. 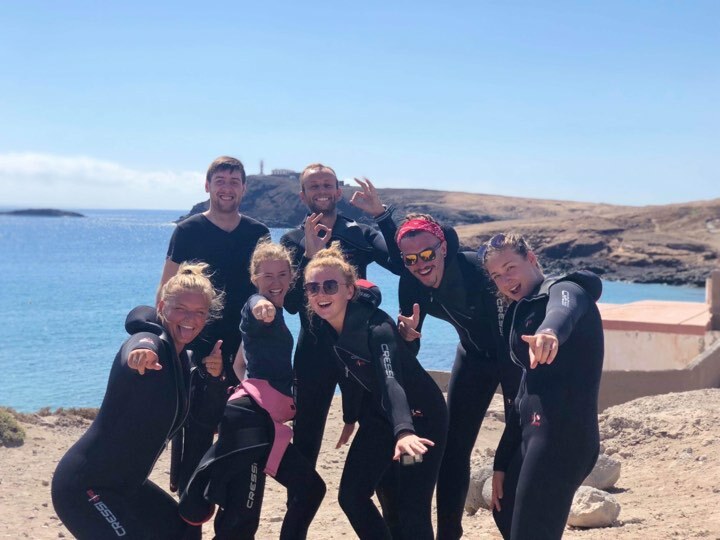 You will be able to master the art of scuba diving whilst being supervised through your open water skills with a trained and experienced PADI qualified instructor whilst viewing all the marine life and having plenty of fun! Supplemented to the practical side of the course is the theory, you shall be asked to complete five quizzes and an exam to test your knowledge on everything you have been taught. But don't worry! An instructor will be with you every step of the way to help you learn and understand everything, don't hesitate to ask any questions- we are more than happy to help. Underwater photographs and videos are available to ensure you remember your first breaths underwater! Complimentary pickups are available so why not come and enjoy learning to dive in a fun and relaxing environment! Included: Full rental equipment, PADI instructor guide, complimentary hotel transfers, one on one training and snacks and refreshments, PADI advanced open water manual and certification card. The advanced open water course is a fantastic and fun way to further your diving career and see more of what the ocean has to offer. Remember 70% of the earth's surface is water so why not dive deeper and discover more! 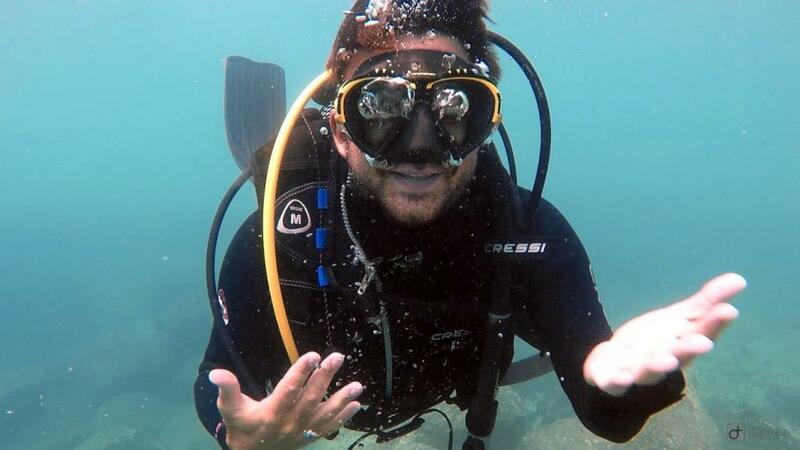 The course consists of 5 open water dives and 5 knowledge reviews. At the end of this course, you will be certified to dive to 30 metres. Included: PADI instructor, complimentary hotel transfers, snacks and refreshments, PADI Emergency First response manual and certification card. This course is a rewarding course for any diver or non-diver! 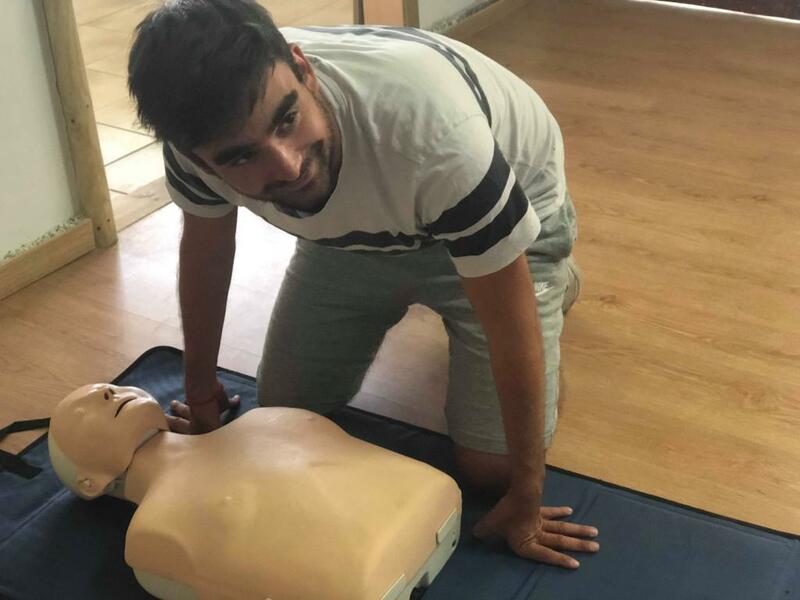 By the end of this course, you shall be knowledgeable, confident and qualified to assist in any emergency situation and provide effective emergency care to an injured or Ill person. The EFR course is essential if you wish to further your diving career by completing the Rescue Diver course or becoming a diving professional and becoming a PADI divemaster. Requirements: A medical statement must be completed upon arrival, not available to pregnant women. No alcohol must be consumed prior to diving. Must be an Advanced Open Water Diver or equivalent. Included: Full rental equipment, PADI instructor guide, complimentary hotel transfers, one on one training and snacks and refreshments, PADI rescue diver manual and certification card. The rescue diver course really advances your diving skills. You will watch yourself grow and adapt as a diver to be able to cope with several different scenarios including the management of diving water-related accidents and self-rescue. 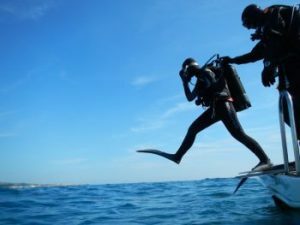 As opposed to other recreational diving courses where you focused primarily on your own diving, your focal point shall now be broadened to care for and supervise other divers until these practices become second nature. Many scuba divers describe the Rescue Course as the most rewarding diving course, simply because you become a much more aware diver, who is prepared to manage any incident that you may come across. Although the course has a serious nature, here at Leagues Ahead Diving the course also consists of fun and laughter as we provide a non- stressful learning environment for you to practice your knowledge development and water skills. 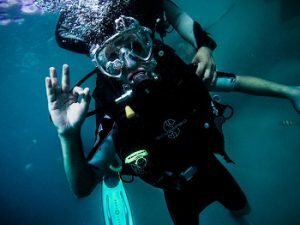 Recognizing and managing stress in other divers - you shall become more aware of the divers around you and learn to recognise divers who are experiencing problems such as being nervous, experiencing gas narcosis or fatigue. You shall learn how to adjust your own behavior accordingly to assist in these situations. Emergency management and equipment - you shall learn the most effective steps to undertake in the event of an emergency. 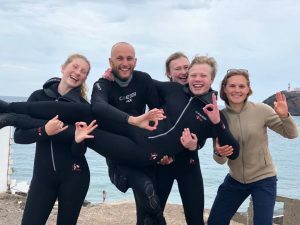 Rescuing panicked divers- You will be confident to undertake the necessary steps in the event of a panicked diver which ensure you do not put your own safety at risk. Rescuing unresponsive divers- You shall learn how to get an unresponsive diver to the surface safely and then the necessary steps to ensure they have the best chance of survival. The Master Scuba Diver Course is a summary of your accomplishments. 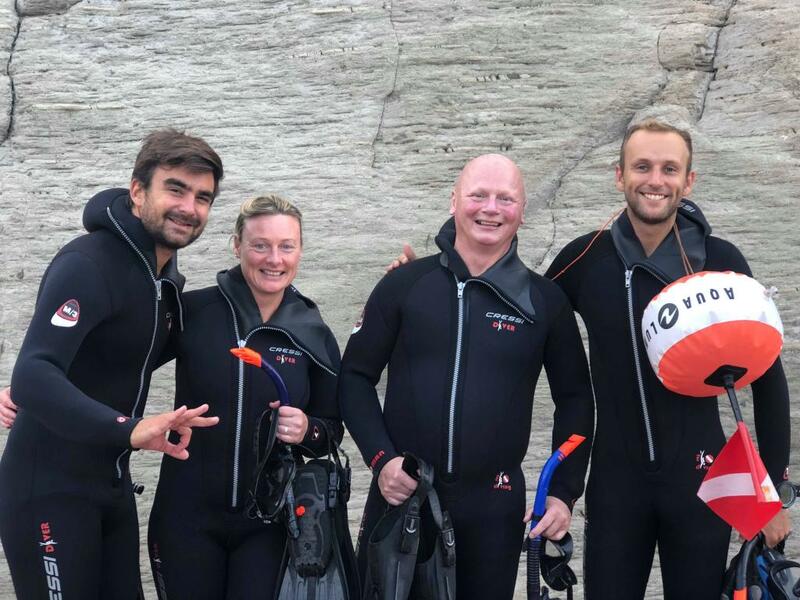 If you love diving as much as the instructors here at Leagues Ahead Diving and wish to work in the diving industry then the Divemaster course is the perfect course for you! The PADI Divemaster course is the first level of professional training and will allow you to work side by side with a trained instructor to gain invaluable knowledge and diving skills that you won't be able to learn elsewhere. The PADI Divemaster course is the first level of professional diving and in a mere 2 weeks depending on your number of logged dives it will enable you to develop your leadership abilities opening up a world of opportunity for you. Throughout the course, you will develop your theoretical knowledge on diving guided by a PADI qualified instructor in our classroom or by independent study. We have a spacious classroom available for you to use whenever you require and an instructor who is always on call to answer any questions. To enhance your diving skills you will be diving most days to ensure you are comfortable in the water and gain the necessary experience to be able to effectively plan, organise and direct dives as well as reach the 60 logged dives needed to complete the course. As you progress further through the diving courses, our instructors shall allocate you more tasks to complete within the dive centre in Playa Del Ingles. This shall increase your experience and really integrate you into the diving team. You shall learn to guide dives and become a teaching assistant as well as preparing and maintaining diving equipment. The only requirements are that you must be a minimum of eighteen years old and be medically fit to dive. You can start from any level of certification and progress to Divemaster. By the end of the course, you will become a role model to divers across the world, and the majority of PADI certified dive masters have gone on to work in the diving industry. 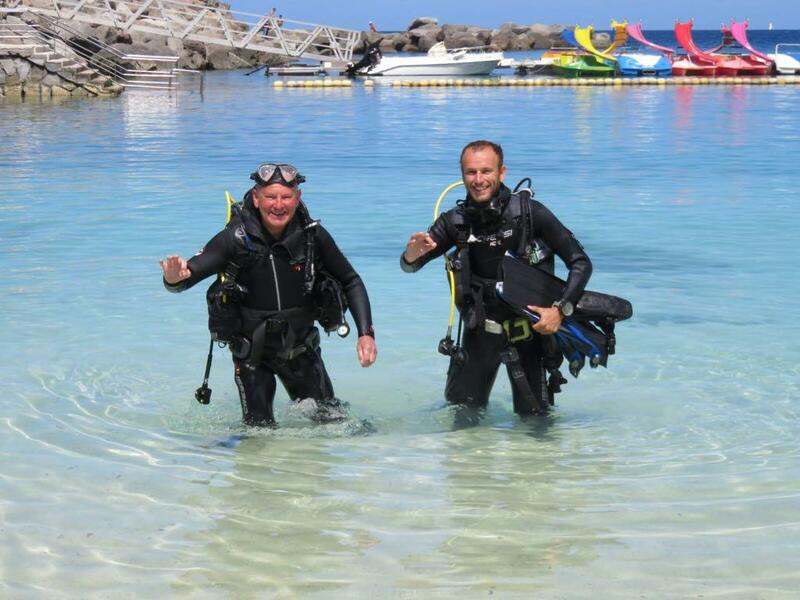 Many work abroad or others go on to further their diving career and become an instructor. So, why not take the plunge and become a professional diver? The diving internship at Leagues Ahead Diving is a brilliant opportunity for you to gain real life experience of working in a dive centre. As unlike completing the Divemaster Course, the internship will allow you to work within the dive centre to gain valuable experience and knowledge to become a professional diver who knows the in's and out's of running a dive centre. To enhance your diving skills you will be diving most days to ensure you are comfortable in the water and gain the necessary experience and logged dives to be able to effectively manage any diving scenario. The days you are not diving you may choose to have a day off as a break, a study day independently or in our classroom or you can choose to accompany us in our daily routine to get a feel for how a dive centre is run. During the six week duration, you shall be awarded the Emergency First Response course, the rescue diver course, the PADI Divemaster certification and the sixty logged dives necessary to complete this course. 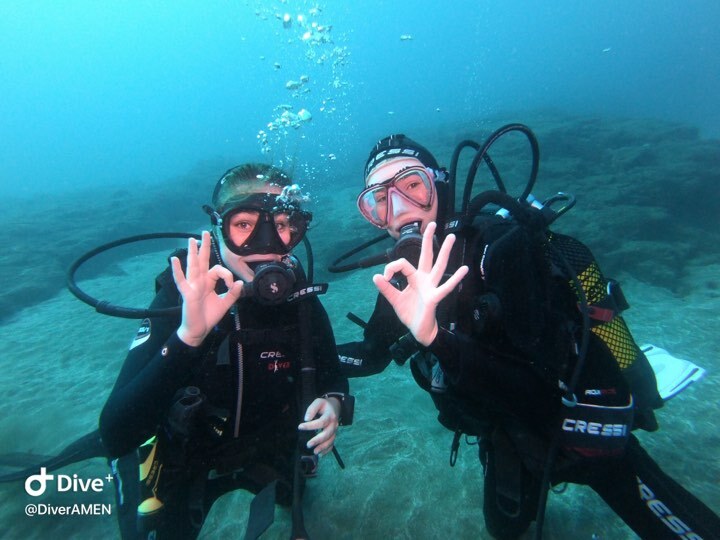 The price of the Divemaster course is 600 euros plus the material needed to complete the course. We are looking for dive masters to join us for the summer season. So you are just in time for the busy season here on Gran Canaria! Accommodation can be provided subject to availability so enquire for more details. However, if accommodation is not available we obtain an excellent working relationship with a hostel a mere twenty minutes away from the dive centre called Volver Beach Hostel in Puerto de Mogan. If you have any questions regarding Gran Canaria, don't be afraid to ask and airport transfers can be arranged to help you settle into your new home for the month! The PADI Divemaster ensures you must be a minimum age of eighteen years old and you must have a signed medical statement to ensure you are fit for diving. 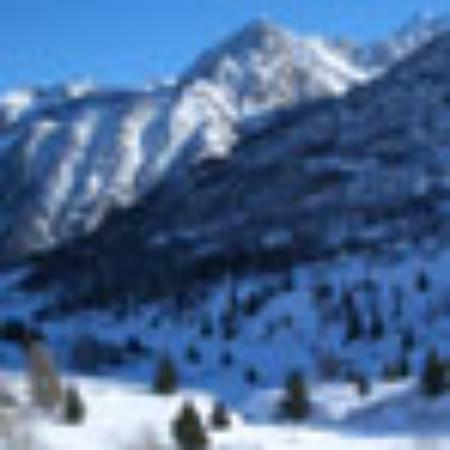 However, a medical statement can be provided upon arrival for a mere twenty-five euros. You must also be ready for a life-changing experience! Leagues Ahead Diving really look forward to welcoming you at our dive centre! And we hope to see you under the water soon! A Skype call can be arranged to talk to through the Divemaster course and make you feel at ease, our company Skype name is: Leagues Ahead Diving. Please email to inquire and please don't hesitate to ask any questions. It was my first time for real diving with oxygen, the Sophie is a great instructor and it was a lot of fun. They really know all the beautiful spots to dive in and around the island.